Cellaring: Drink 2011 - 2020. Decanting is recommended for the greatest enjoyment. Bright and intense aromas of ripe plums, crushed raspberries, milk chocolate, orange zest and violets. The palate is medium to full-bodied and lush, showing the richer side of this variety with brambly mixed berries, chocolate, white pepper, clove and a varietal dried herbal note that adds a savoury complexity. 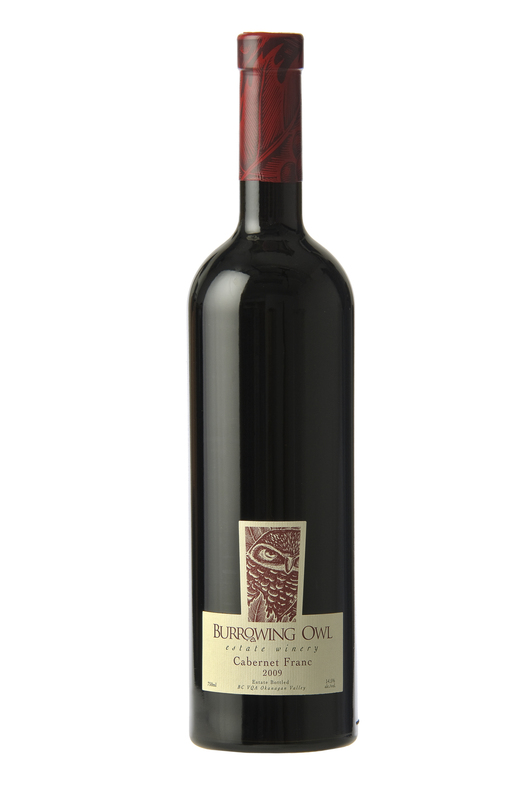 The balanced acidity and dusty tannins give structure and linger on a long, complex finish. 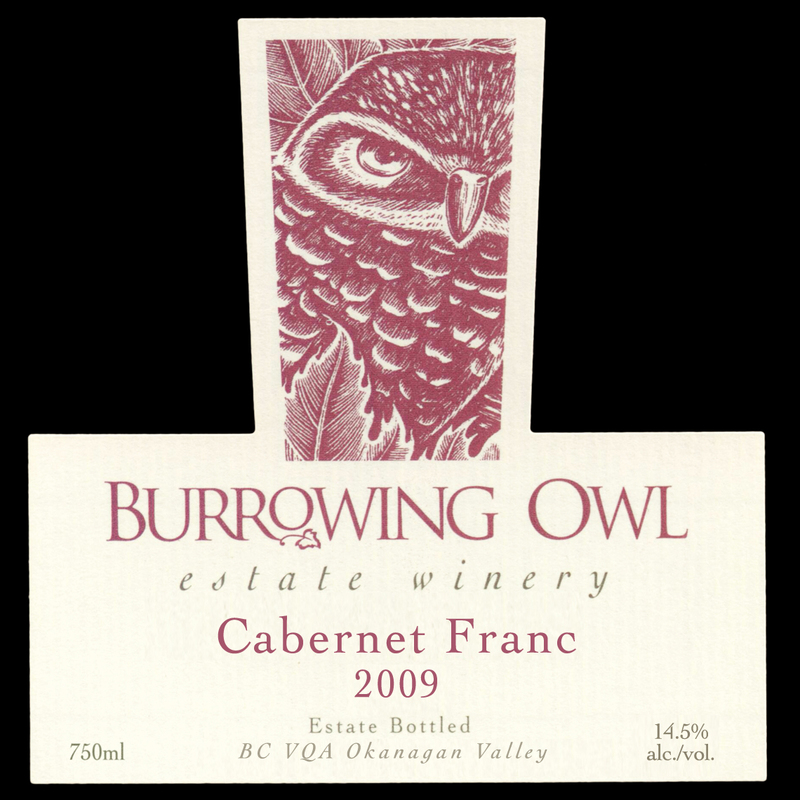 This intense and ripe Cabernet Franc is well suited to braised venison or rosemary-studded leg of lamb. 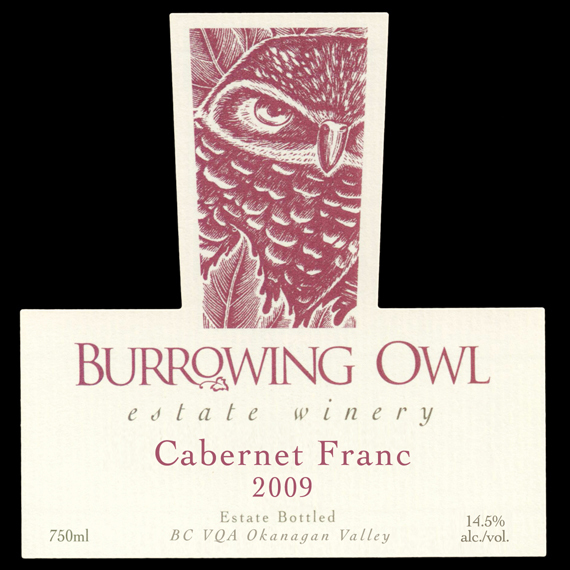 The grapes were handpicked towards the end of October, 2009 from different parcels of Burrowing Owl Estate Vineyards in Oliver, B.C.. The grapes were hand-sorted, then gently de-stemmed, crushed and gravity dropped into tanks and left to heat to 17 degrees Celsius prior to inoculation with our select yeast strains. The wine was fermented on skins for an average 20 days with a peak temperature of 32 degrees Celsius. The wine went through approximately 10 days of post fermentation maceration to enhance the structure and refine the tannins prior to draining and pressing of the skins. The free run juice and press fractions were kept separate and underwent malolactic fermentation in barrel. The wine then received 18 months of oak barrel exposure with periodic rackings.